The Hejaz (or Hedjaz) Railway (Turkish: Hicaz Demiryolu) was a narrow gauge railway that ran from Damascus to Medina, through the Hejaz region of Saudi Arabia, with a branch line to Haifa on the Mediterranean Sea. Workers on the railway have restored many of the original locomotives: there are nine steam locomotives in Syria and seven in Jordan in working order. Since the accession of King Abdullah II relations between Jordan and Syria have improved, causing a revival of interest in the railway. 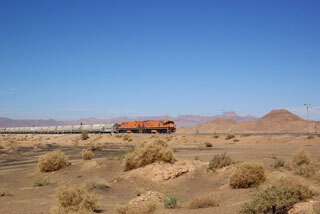 This article uses material from the Wikipedia article "Hejaz Railway", which is released under the Creative Commons Attribution-Share-Alike 3.0 License.